Slow Cooker French Onion Soup is one of our favorite meals to come home to! 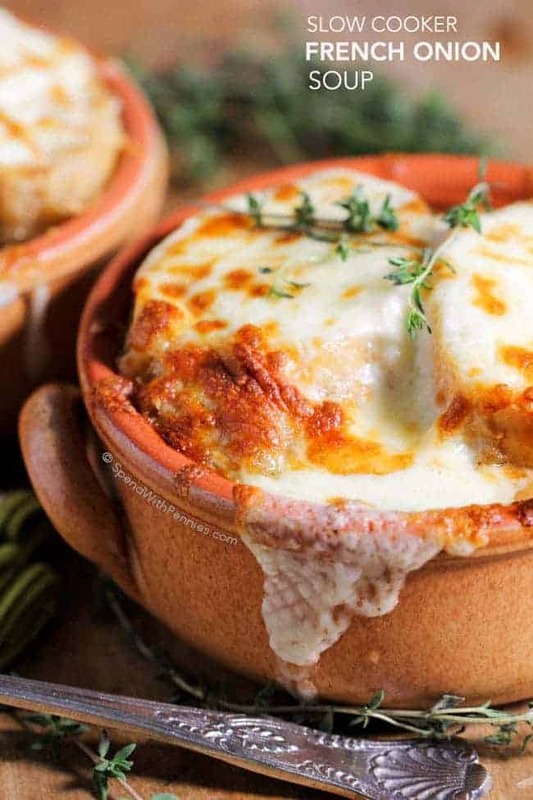 As with any traditional French onion soup, this recipe features a beefy broth loaded with caramelized onions and herbs and topped with an amazing Gruyere cheese topping! French Onion Soup is one of my husband’s all-time favorites. 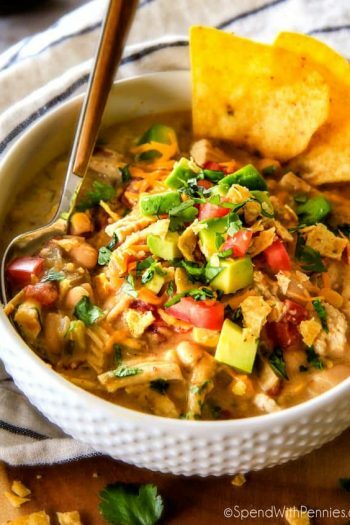 It’s the perfect meal for any soup lover! For me it’s all about the bread and cheese… all soaked in that rich herby onion broth and then broiled until the cheese gets all hot and bubbly. Scooping up the first bite of that ooey gooey cheese is like a little taste of heaven. While French Onion Soup is good, I do think that a good broth takes a long time to develop great flavor which is something I love about this recipe. In this easy French Onion Soup recipe, the onions and broth have the chance meld in the slow cooker all day long creating a rich and flavorful soup. 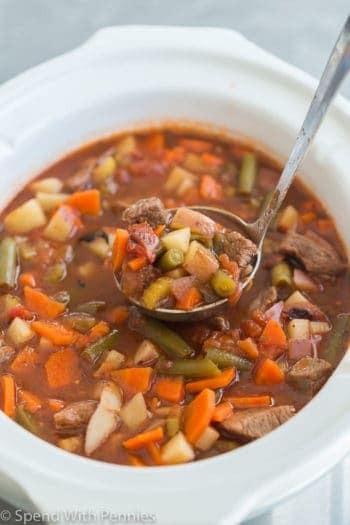 Not to mention, I’m a huge fan of slow cooker meals because I love coming home to dinner ready to go! It just seems to make the evening run that much smoother, at least in my house with activities, homework and soccer practices! Why do they Call It French Onion Soup? 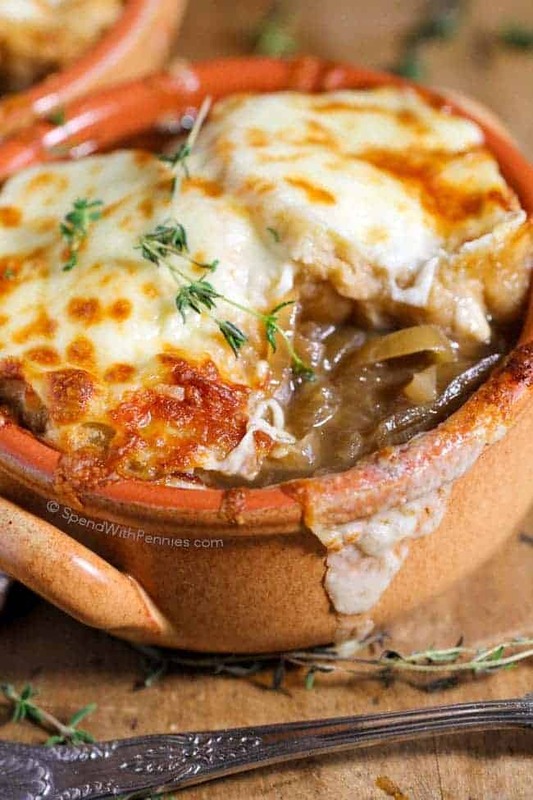 French onion soup actually originated in France in the 18th century and has been a traditional soup of France ever since. This soup is most often served as a starter, however, we love to enjoy it (with extra bread and a salad) as a meal. To make french onion soup completely from scratch you’d want to start with your own homemade broth or stock. While I often make chicken broth from scratch for this recipe I usually use a lower sodium store-bought broth. Either will work just fine. Caramelizing the onions does take a little bit of time but it’s totally worth the effort. You want them translucent and golden without browning or crisping them so low and slow heat is the way to go with these! You don’t have to stir them constantly but you do want to make sure they aren’t cooking too quickly. 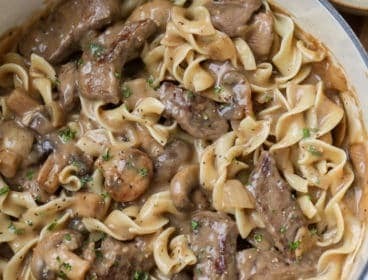 While I caramelize them on the stove top for convenience, you can actually caramelize them right in your slow cooker too but it does take 8-10 hours! If you get them started the night before, you can wake up to caramelized onions, add the remaining ingredients and you’re good to go! Combine 3lbs sliced onions, 1/2 cup unsalted butter and 1/2 teaspoon salt. Stir and cook on low 8-10 hours. 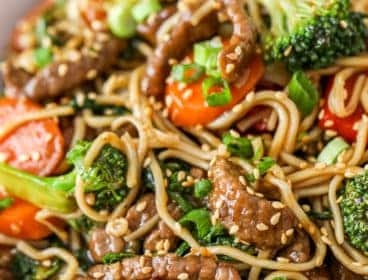 (You would need half of these onions for this recipe but can add more if you like. 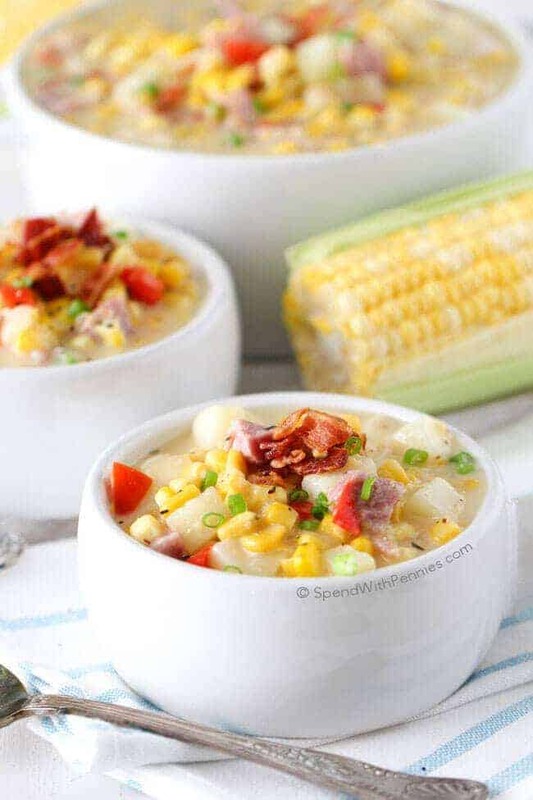 You can freeze the other half to add to mashed potatoes, casseroles, soups and more). (Note you do not need brown sugar if you use this method, the onions have enough natural sugars). When making French onion soup, you’ll want an onion that will caramelize well and have the right amount of sweetness. 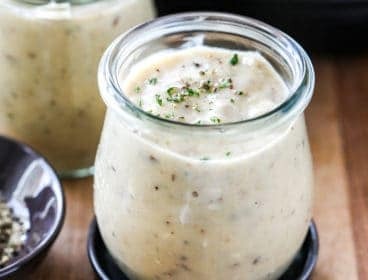 I find using regular white onions provides the best results as sweet onions can overpower the broth and tend to create a soup that is too sweet. 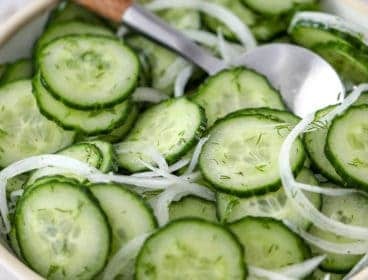 If you happen to have only sweet onions on hand, I would suggest eliminating any sugar from the recipe. What kind of cheese is best for French Onion Soup? 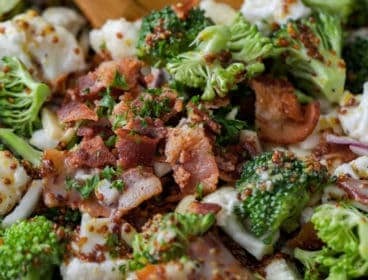 The bread and cheese topping is one of my favorite parts of this recipe. 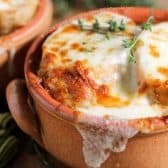 Using Gruyere and Emmental cheeses really make this dish amazing, however, you can substitute mozzarella/ parmesan/ swiss if it’s all you have on hand. 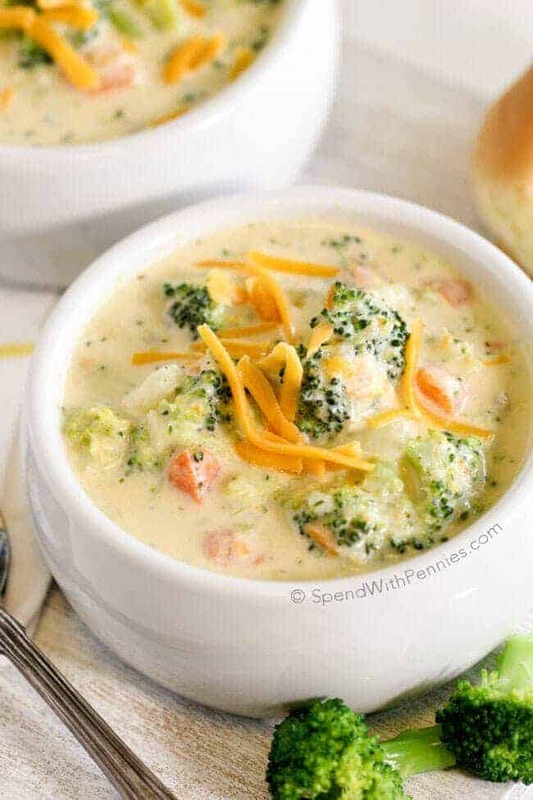 I love to ladle this into bowls, add the cheese and broil, however, you can simply place the bread & under a broiled on a pan and add it to your bowls if you prefer. 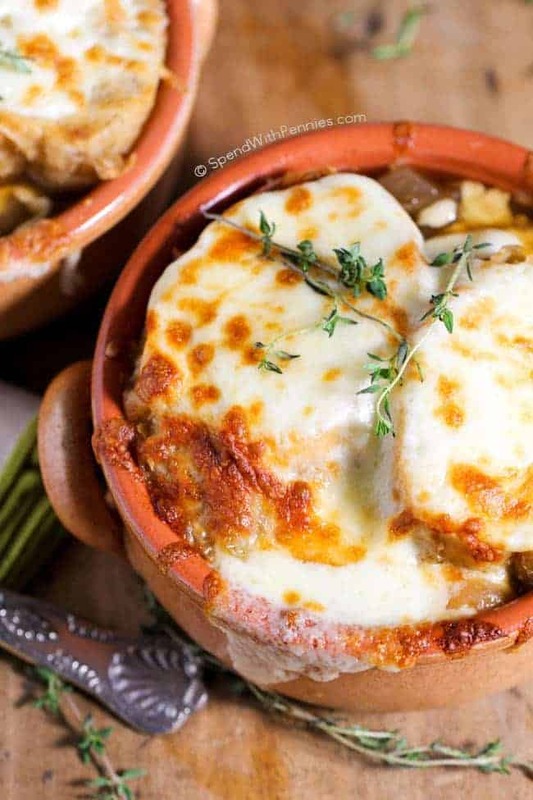 Serve this French Onion Soup with a side salad and some extra bread for a delicious dinner! 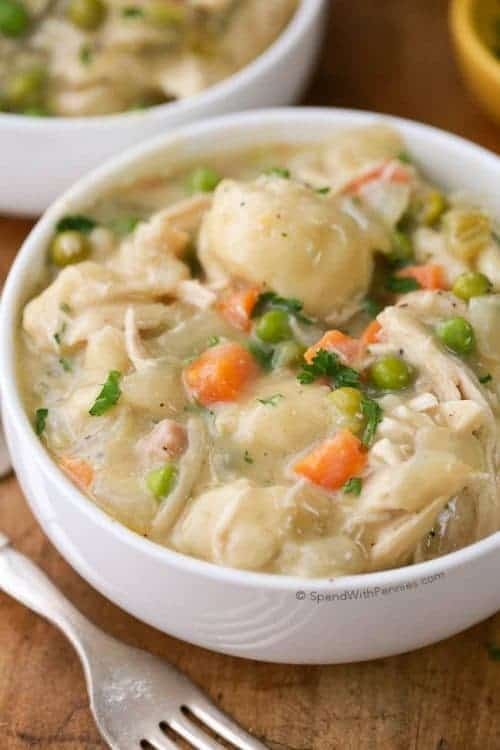 Slow Cooker Chicken Pot Pie Soup – Comforting and creamy. 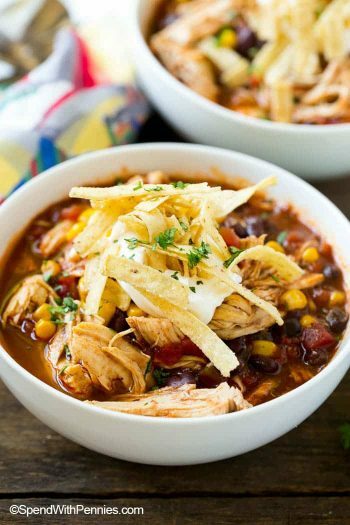 Crockpot Chicken Noodle Soup – Great for leftovers! 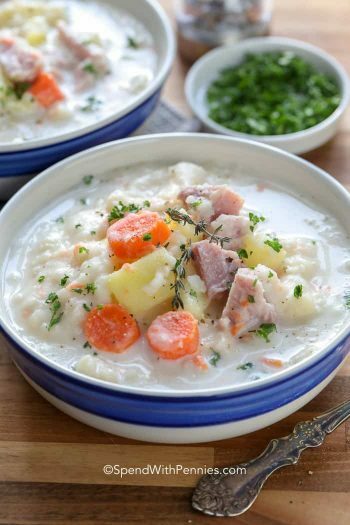 Easy Crock Pot Ham and Potato Soup – Favorite recipe! 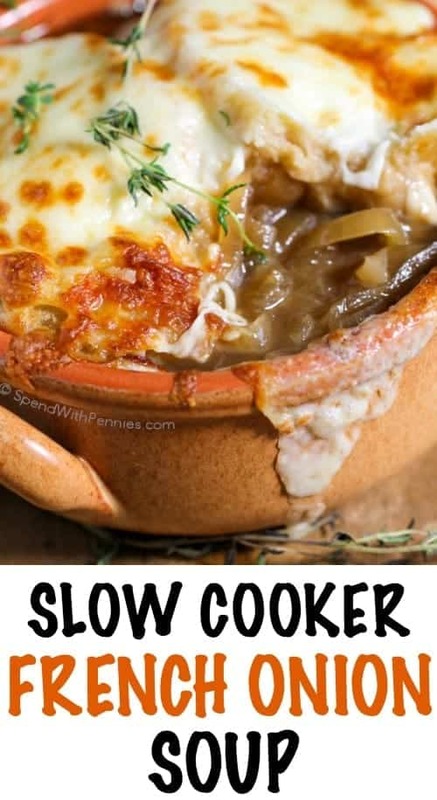 Slow Cooker French Onion Soup is one of our favorite meals to come home to! 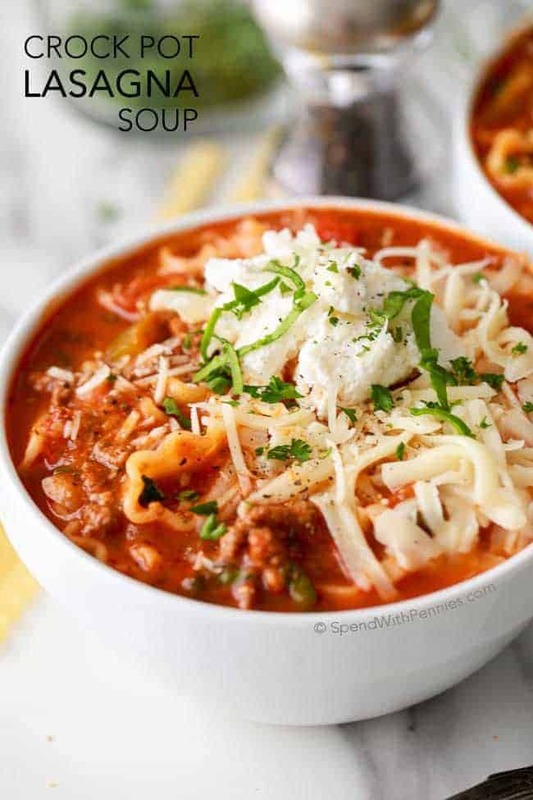 A rich beefy broth loaded with caramelized onions and herbs and topped with an amazing Gruyere cheese topping! In a large non-stick pan, cook onions, butter and brown sugar over medium low heat until golden and caramelized. (About 20 minutes). 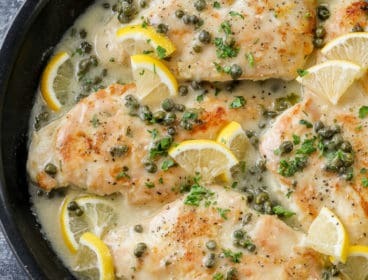 Once golden, add to the slow cooker along with remaining ingredients except bread and cheeses. Remove and discard bay leaf and ladle the soup into bowls. 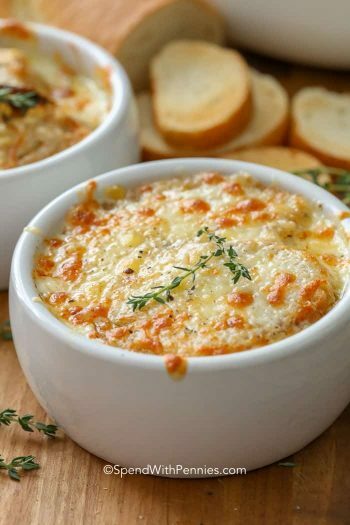 Top with dry bread slices and cheeses. Broil 2-3 minutes or until cheese is melted and browned. If you don't have dry bread, slice your loaf and dry it in the oven at 300 degrees for about 5-7 minutes. Cool completely.